The Native American culture is rich with tradition, stories, color, and fun! 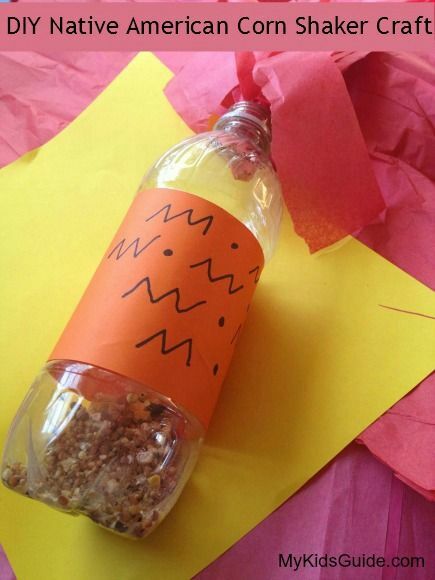 Children will enjoy learning more about the Native American culture with this is a fun and noisy shaker that is supposed to represent an ear of corn! It is a great compliment to any Native American lesson, and children will enjoy crafting it as well as the fun noise it makes! Make your own Native American Corn Shaker craft for kids with just a few supplies you already have around the house! It only takes a few minutes, and children will enjoy lending you a hand! Ready to get crafting? Here is what you will need! 1. Decorate the outside of a plastic drink bottle with markers with Native American colors. 2. Sandwich a piece of yellow and red tissue paper and cut strips along one side. 3. 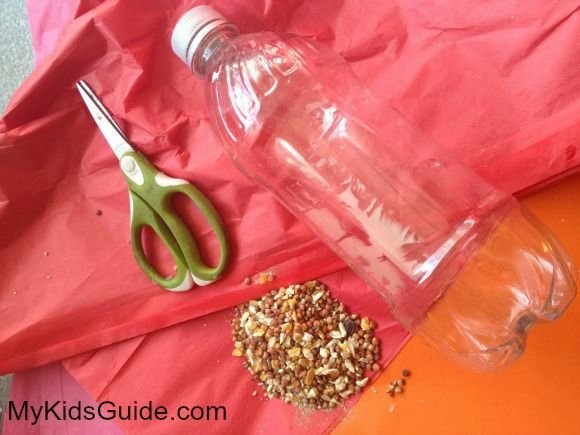 Apply glue around the bottom of the bottle and glue on the tissue paper one and then another. 4. Fill the bottle with enough popcorn to cover he bottom and screw on the lid. 5. That is it! Make noise and start having fun! When finished you have a fun noise maker that helps children expand on their knowledge of Native American culture! Put on music and allow them to shake their noise makers and dance. It is a great activity to aid them in using their imagination as well as strengthen gross and fine motor skills! Take this craft for kids further! In addition to this craft for kids, you can enjoy a few texts on Native American culture that children are sure to enjoy! Try these! So gather your supplies and gather the kids around the table! Explore Native American culture and dive into this great craft for kids that is simple and inexpensive! Take in one of the great books when you are finished, or dance to the sounds of your noisemakers. Either way, it is sure to be an enriching experience and fun for the while family! What a cute craft! I will have to use this with my Brownie Troop during the fall! Kristin Wheeler (Mama Luvs Books) recently posted..The Fairy Hobmother Paid Me A Visit!!! This is such a fun project, and afterward we can put the corn out into the yard for the birds! I love this craft, it repurposed stuff around the house plus it is really creative. My kids would love to make one of these. This is such a cute craft idea! This would be great for the kids to do when they are out of school during the summer! Thanks so much for sharing! Oh this looks like lots of fun. I just found your site and I just love this craft idea! It’s so nice to go back to the basics and teach history this way! Thanks! Just shared with my readers and pinned! I think my boys would love this! Thanks for the great idea! Thanks for sharing the steps of it!